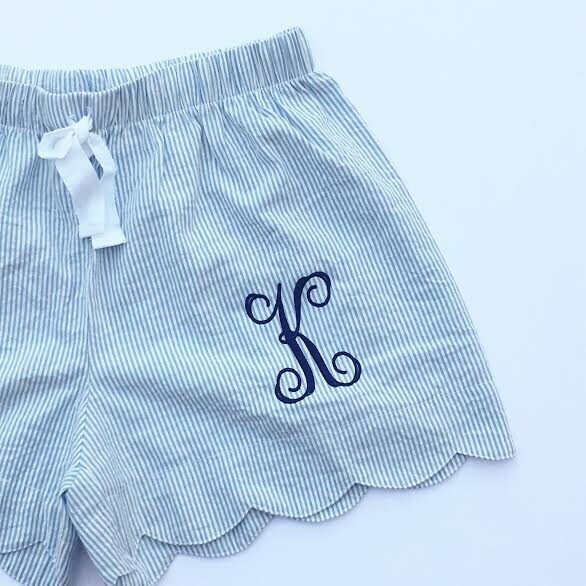 Women's blue seersucker, scalloped edge shorts with a beautiful embroidered monogram! The perfect Christmas gift and great for everyday wear! 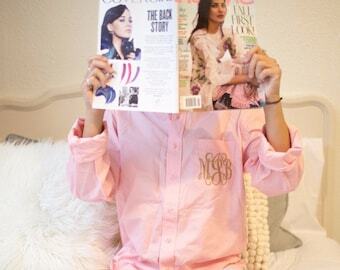 Preppy and stylish...now with a scallop edge detail! Our seersucker lounge shorts are great for relaxing in style at the beach, pool, lake, around the house, even for a stylish comfy look to run those quick errands or bridesmaid gifts and a pair for the girls in the family on vacation! These are a standard women's fit; NOT junior fit; Elastic waist w/ white drawstring twill tape tie, 3.5" inseam; standard true to size; seersucker fabric is crafted over elastic on the inside to allow seersucker to show if folded over; perfect for monogram!